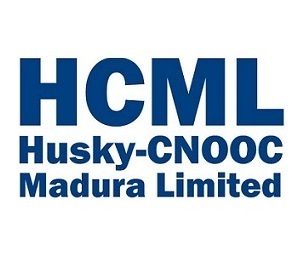 Husky-CNOOC Madura Limited is one of the Production Sharing Contracts (PSC) of Badan Pelaksana Kegiatan Usaha Hulu Minyak dan Gas Bumi (BPMIGAS), which later on was changed into Satuan Kerja Khusus Pelaksana Kegiatan Usaha Hulu Minyak dan Gas Bumi (SKK Migas), Kementerian Energi dan Sumber Daya Mineral, as a representative of the Government of Republic of Indonesia to conduct exploration and exploitation of oil and gas in Madura Strait. To ensure the FPU & EPCI Contractors utilize a suitable Project / Subsea / FPU Completion System. Including a Mechanical Completion and Commissioning Completion tracking system. Work together with the FPU & EPCI Contractors, Company Discipline Engineers and Operations Representatives to agree the most effective system breakdown definition for the Subsea and Topside that will form the basis of the Project / Subsea / FPU Completion System. Ensure that the Project Planning system incorporates this definition at the task execution level. Establish the major Project Completion Milestones and ensure these are achieved safely and on schedule. Work together with the FPU & EPCI Contractors, Company Discipline Engineers and Company Operations Representatives to develop all applicable Commissioning and Start-up Procedures required to provide complete and properly functioning facilities. Ensure a smooth transition from Project to Operations. Interface with the Project Certification Engineer and applicable regulatory authorities to ensure that all Project certification requirements are identified and that all supporting Project / Subsea / FPU Completion documentation is in place to apply for and receive certifications in a timely manner. To check and confirm the installation is mechanically complete and to ensure commissioning activities are performed in accordance with the Project Milestone Schedule and Completion priorities in order to achieve First Gas safely. Ensure that all requirements are met for smooth hand-over of the completed facilities from Commissioning to Operations. Ensure that all the obligations of the FPU & EPCI Contractors relating to Provisional Acceptance and Final Acceptance are met. Ensure that all outstanding work (i.e. punch lists, etc) is continually tracked and reported throughout Project execution. Assist in any final settlement with the FPU & EPCI Contractors pertaining to uncompleted outstanding work.. Bachelor degree in Chemical, Mechanical, Electrical or Instrument Engineering. Having minimum 15 years experiences in Oil & Gas project with more than 2 years experience in similar project Commissioning & Start-up Specialist. Having offshore experience in Oil & Gas Industry. 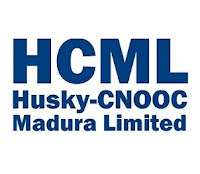 Thanks for reading Husky-CNOOC Madura Limited Jobs: Commissioning & Startup Specialist. Please share...!